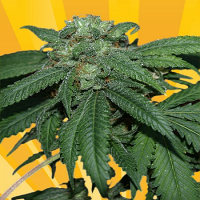 White Magic Feminized Cannabis Seeds by Mandala Seeds: The DRC is one of the biggest producers of marijuana in Africa yet the genetics are rarely available outside of the country. 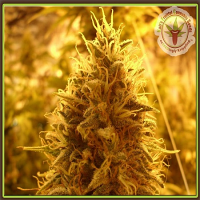 With our easy to grow feminised hybrid you can get a taste of this special equatorial Sativa. 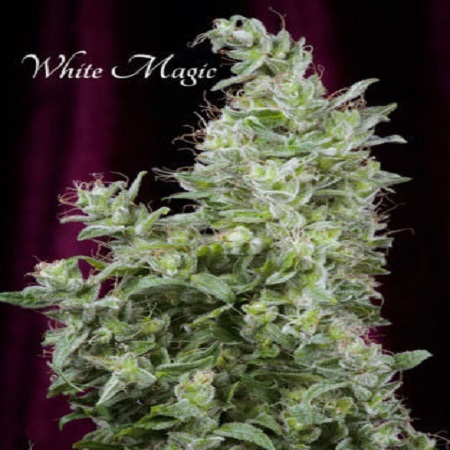 White Magic is a very versatile strain with high mould resistance. She can be cultivated in tropical to warm temperate environments up to 45°N. The plants withstand heat and have been stress-tested up to 48°C/118°F in a greenhouse. 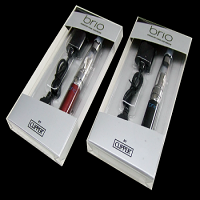 Cultivators in regions with a constant photoperiod or high humidity should especially consider growing this strain. The plants have relatively long internodes, which has to be taken into account when growing in containers or a greenhouse. Late planting and pruning is recommended if a moderate size is desired. We recommend timing the planting season to allow for approx. one month vegetative growth. In a Mediterranean or hot climate, plant height averages between 1.70 to 2.10 meters in containers, if they are planted in June (northern hemisphere) and left unpruned. White Magic responds well to LST (low stress training) and she is generally easy to grow. Trimming the bottom shoots further simplifies plant care and increases the strength of the upper branches. Profuse lateral branching needs to be supported or trained. 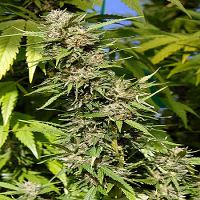 This strain grows well in quality horticultural grade potting soil, but still requires additional feedings during flowering if grown in containers. Sufficient nutrients should be provided over the full life cycle. The Congo landrace typically grows huge foxtail colas that extend outwards like tentacles. That wild side may still shine through in some of the White Magic females. But most plants typically grow denser colas with a cone-shaped tip. And that creamy coating of resin puts a smile on any growers face. 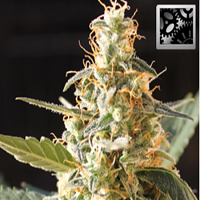 Once you see the flowering colas glistening in the sun you will know why she is called “white”! 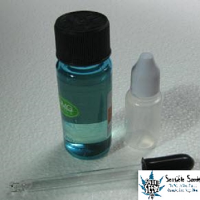 Clear to slightly milky resin is typical right up to the end. During flowering you will find yourself engulfed in a sweet smell when you brush against the plants. Freshly harvested buds can also emit a peppery smell that is so typical of African strains, but this tends to disappear later during curing. The high is a creative-intellectual awakening with an electric edge. This is a very active buzz that leaves you functional and motivated. The cannabinoid profile is nicely balanced and allows you to indulge on a cerebral Sativa trip without worrying about negative side effects like a racy heart. Just enjoy the ride and let her do her magic!